Do you love a good TWEETY FIESTA? You know Babushka does, and is excited to co host a party with the Bellas of Collective Bias about the nuevo Fabuloso twin-packs available at Walmart! 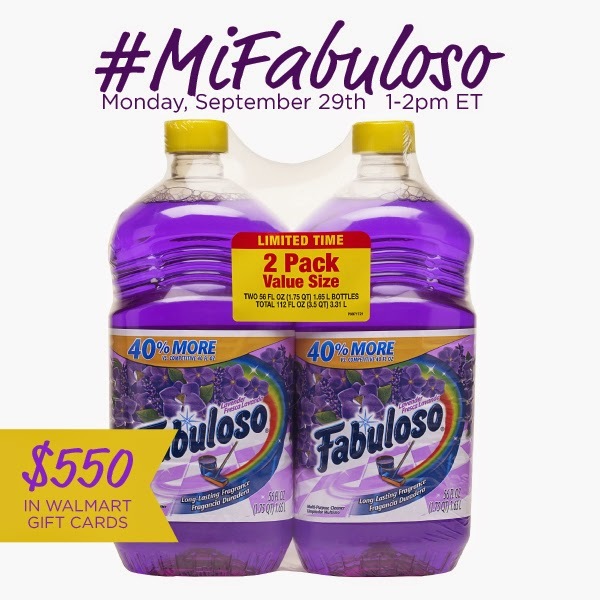 On Monday, September 29th, from 1-2 pm ET, please join us for the #MiFabuloso Twitter Party where we’ll be discussing the many ways Fabuloso makes your household cleaning faster and fun, and so fabulously scented while giving you a chance to win prizes! How do you use Fabuloso in your household? Join me for the #MiFabuloso Twitter party and let's chat about it! Join me and RSVP for the #MiFabuloso Twitter Party on SoFabChats! Don't forget your dancing shoes My Beautifuls! !